Legal Eye’s Senior Compliance Manager Helen Glaze has been promoted to the newly created role of Head of Risk, Compliance and Best Practice. The change is in recognition of Helen’s strong technical knowledge and her increasing involvement in the senior leadership team especially in the areas of strategy and management. In her new role Helen will continue to be the ‘go to’ person for technical queries and to take the lead on producing risk, compliance and best practice updates and briefings for clients and for Legal Eye’s growing team of associates. 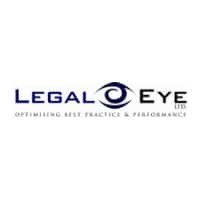 In addition she will have responsibility for managing relationships with major clients as well as with industry bodies such as the Law Society, regulators, and accreditation bodies such as Lexcel. She will also spend time working in the wider business – in particular with Legal Eye’s parent company ULS Technology. Helen qualified as a solicitor in 2001 having started her legal career as a trainee legal executive with a large multi-office regional law practice in Staffordshire where she later qualified as a Fellow of the Institute of Legal Executives. During her time in practice, Helen specialised in personal injury litigation including high value road traffic accident cases as well as EL and PL cases and assisted with solicitors’ negligence cases. Helen has been with Legal Eye for five years during which time she has continued to develop her specialism in risk, compliance and best practice and led the audit team. Helen understands the challenges that many firms are increasingly facing in an ever-changing legal marketplace. She recognises that firms very often have limited budgets and competing interests and that compliance cannot be just about ticking the box. As well as assisting in putting in place robust processes and procedures necessary for compliance with the legislation it must also enable firms to work more efficiently and effectively and thus increase profitability. Helen has a keen interest in the changes that are facing the legal profession in the coming months with the introduction of new regulations which will further change the way in which legal services are offered. Helen is a qualified Lexcel Consultant and is experienced in ISO9001 auditing.